1800 The drama in Europe continued. The French launched a series of military campaigns against several European coalitions. It was the start of the Napoleonic Wars. In April Genoa was in the news again as it came under siege by Austrian forces. 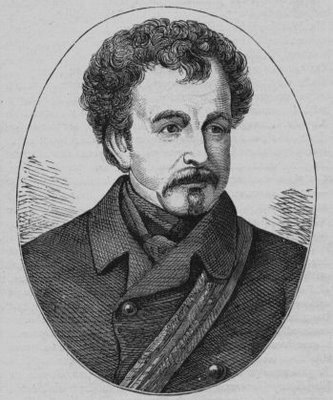 By May General Massena had surrendered the city. 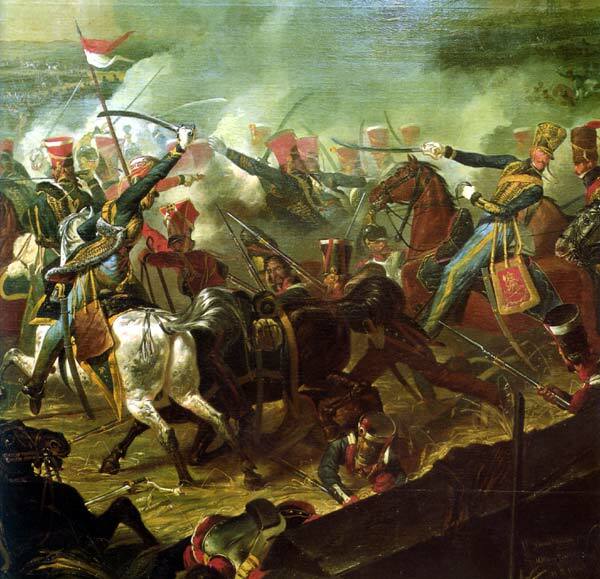 In June the Battle of Marengo was taking place near Genoa and the Austrians evacuated northern Italy. The period was one of continuous chaotic upheaval. The Genoese emigrated in droves. The Chipolina family, however, had managed to avoid the worst of it. They were already in Gibraltar. 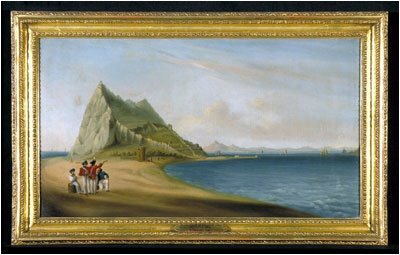 1801 By now the civilian population had nearly doubled to 5 339 and the first edition of the Gibraltar Chronicle appeared. The paper was founded by Col. Drinkwater of Great Siege history fame. It was the official gazette of the colony and was run by the Garrison Library Committee which was made up entirely of military men. Not surprisingly its point of view was invariably that of the establishment. 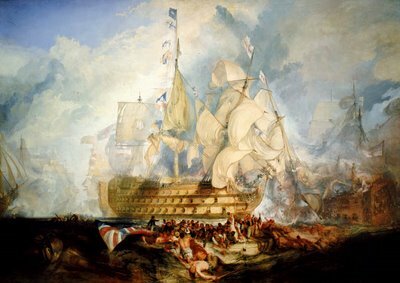 In July the English Admiral Saumarez, stationed at Gibraltar, managed to get the two largest ships in the world at the time, the Spanish galleons Real Carlos and Hermenegildo, to mistake each other for the enemy. They collided and exploded with the loss of 1 800 lives. 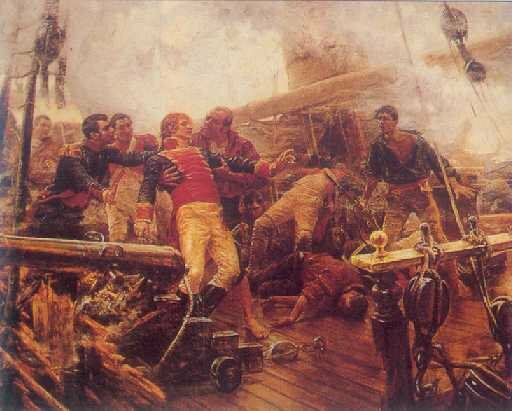 The Battle of Algeciras. The French were aided by the Spanish gunboats and the shore batteries drove off a larger British squadron. Saumerez lost the Hannibal. San Hermenegildo sister ship to the San Carlos, the largest ships in the world. 1802 In March Britain ceded Minorca to Spain in the Peace of Amiens. Having acquired Malta she had no further use for it. In Gibraltar work commenced on the Victualling Yard. 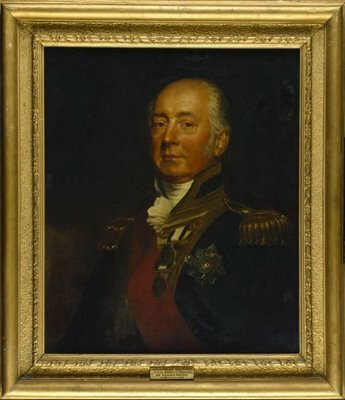 O'Hara died and was succeeded by Prince Edward, General HRH the Duke of Kent, the first and thankfully the last Prince to be appointed Governor of the Rock. Prince Edward, Duke of Kent, father of Queen Victoria, universally detested. O'Hara's reign had left behind a disorganised and undisciplined garrison and the Prince had been specifically instructed to enforce the new King's regulations concerning discipline, arms and clothing. He had received his instructions personally from the Duke of York, commander-in-chief of the British Army. 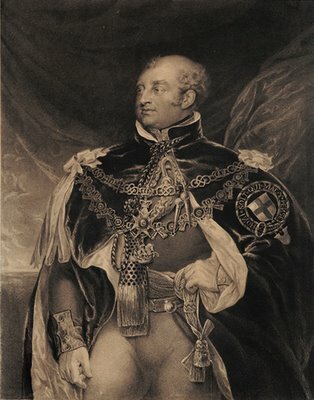 The second son of George III, the Duke had recently been accused in the House of Commons of abuse of military patronage in association with his mistress, the notorious Mary Anne Clarke. When Prince Edward arrived on the Rock he immediately read the men the riot act and closed down most of the taverns. Those that remained in bounds only served local beer which was manufactured in a brewery near Europa Point. During his spare moments he presumably also found time to visit his mistress, Alphonsine St. Laurent. It was a love affair that lasted thirty years and was recorded for posterity in a book called 'The Prince and His Lady'. 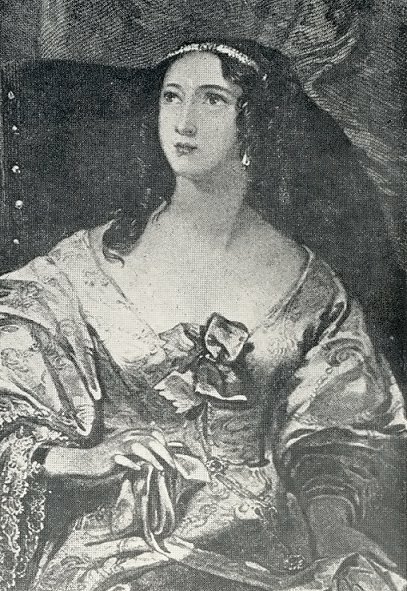 “I have at present a young woman living with me who I wrote to come from France to me, who has every qualification which an excellent share of good temper, no small degree of cleverness, and above all, a pretty face a handsome person can give to make my hours pass away pleasantly in her company." By December the disgruntled soldiers and angry taverners had had enough. They met at one of the ale houses and arranged to kill the Duke of Kent. 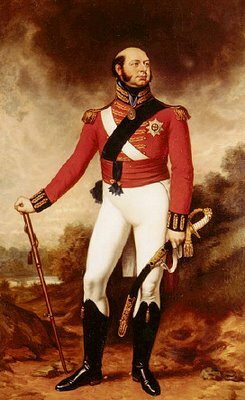 The mutineers included men from the Duke's own regiment, the Royal Fusiliers, who had already mutinied in Canada against his strict discipline. He and other senior officers then promptly sent their report off to London before the Duke was able to justify his actions to his elder brother, the Duke of York, who incidentally also hated his guts. In June that year Nelson arrived in Gibraltar as Commander-in-Chief of the Mediterranean. 1804 The Governor was recalled to England but was never given a chance to explain before a court of enquiry as he himself would have wished. After all, how on earth could one incriminate a King's son for complying with his orders? He retained his title as Governor but never returned and Barnett effectively took over. In May the French Empire was proclaimed and the civilian population of Gibraltar was estimated at around 6 000. Soon afterwards the most serious outbreak of yellow fever ever recorded on the Rock took place. By September all sea and land communications with Spain were stopped. The disease, yet again, may have been connected with the continuing slave trade or may have come by merchantman from America. It could also have been dormant for some time among the apes. 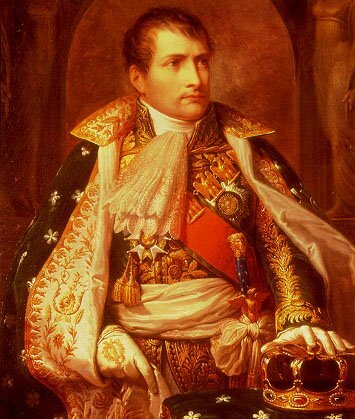 In November Napoleon was crowned emperor. The people of Gibraltar were too preoccupied with burying their dead to take much notice. For months both the military and civilian physicians, not to mention the local undertakers, were run off their feet. Resources generally, were stretched to breaking point, although according to a report written by a Dr. Leonard of the Royal College, the real problem was not a shortage of medical supplies but one of finding the right ones to combat the disease. It seems that very few medicines would remain in the patient's stomach for any length of time. The truth was that the doctors had no idea what disease they were treating. Nor did they know what caused it. In an attempt to contain the worsening situation, a series of regulations were ordered by the Governor. These included a strict quarantine upon all ships from abroad, the establishment of Health Guards at all landing places, and a requirement that all medical practitioners report every suspicious case of fever to the Inspector of Hospitals. The epidemic finally came to an end in December. 4 864 civilians and nearly 1 000 of the garrison succumbed. 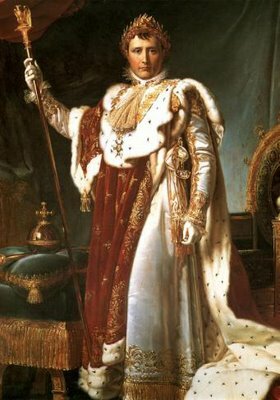 1805 In March the Italian Republic was transformed into the Kingdom of Italy and Napoleon was proclaimed king. Genoa was annexed to France. The British blockaded the port, and Genoese trade suffered badly. The Genoese continued to emigrate. Napoleon as King of Italy and Master of Europe. Meanwhile Sir Hew Dalrymple, known behind his back as ‘Dowager’, took over as Governor, perhaps congratulating himself on the good fortune of having been born an Englishman. For in October came the Battle of Trafalgar in which Admiral Horatio Nelson defeated the combined Franco-Spanish fleets. 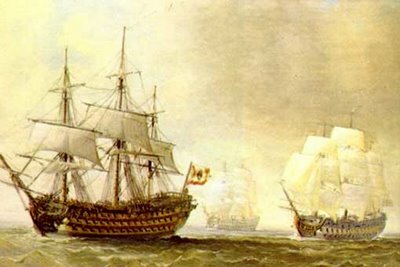 The Victory being towed toward Gibraltar. The demasted boat on the far right is the Nepomuceno. My great, great grandparents Diego Gomez (4.13) and his future wife Isabel Josefa Rubio (4.14), were born around this time, probably in Gibraltar. Diego's (4.13) family may have come originally from Portugal. On the other hand they may not. The truth is that very little is known about the Gomez family other than that the surname is very common both in Portugal and in Spain. Isabel’s family probably came from Coin in Andalusia. I am sure it was just a coincidence but the area around Crutchett's Ramp, where Diego (4.13) and his family would eventually live, was known as 'Portuguese Town' right up to the early 19th century. At the time it seems to have been the custom for civilians in Gibraltar to live within certain specific if overlapping territories. The Genoese, for example, tended to be found in the Cooperage area, the Spaniards in Town Range and Cooperage, the Jews in Town Range and King's Bastion and the British in King's Bastion. 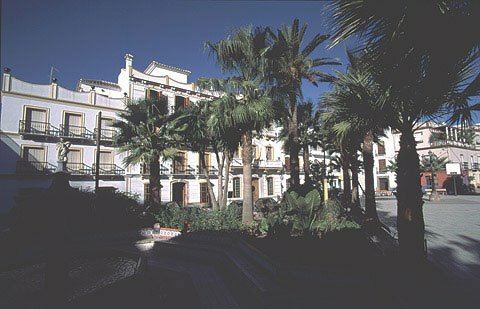 It was around this time that two major events occurred in a small mountain village called Coin in the Province of Málaga. Another set of my great, great grandparents, José Mancilla and Magdalena Porras were born there. Unfortunately no-one remembers very much about them other than their names and the fact that they were born in Coin. Modern Coin.Today it has about 20 000 inhabitants. When I visited it in the 1960 it was a small town of less than 2 000 inhabitants. In Jose and Magdalena’s days it must have been a very small village. It did not take long for Gibraltar to cash in on everybody else's misfortunes. Britain retaliated by forbidding Europe to trade with anybody else. 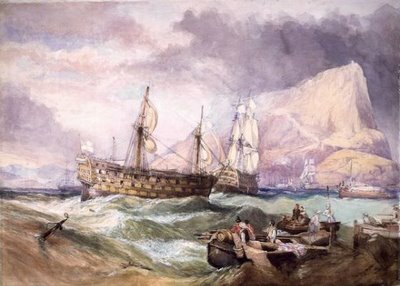 Britain's control of the seas allowed her to enforce her point of view and as a result no less than 320 vessels of French dominated nations were brought into Gibraltar as prizes. There was money to be made on the Rock and those who were in a position to do so could hardly have believed their luck. Immigration increased and the civilian population reached a record 7 501. 1808 On the 2nd of May the people of Madrid rose against the French. This signalled the start of the Peninsular War. General Francisco Castaños y Aragon, commander of the Campo area, told the Governor of Gibraltar of his plans to raise an army at Ronda, and march north to meet the French. Dalrymple replied by ordering every able bodied Spanish male on the Rock to join the General. The merchants of Gibraltar enthusiastically opened a large fund to help him. 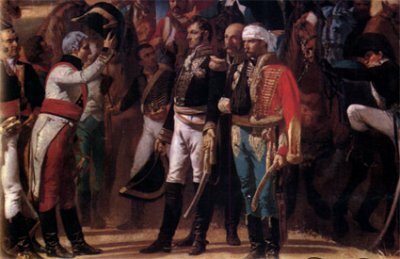 The armies met in Bailén and to the astonishment of the world, 23 000 of Napoleon's veterans surrendered to the Spanish general. The end of the Battle of Bailen. I am not quite sure who is who in this picture but the most important question is where are all those able bodied Spaniards from the Rock? 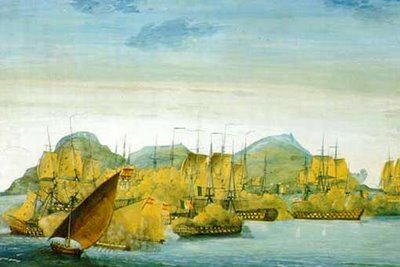 1810 In January on the instructions of the Lieutenant-Governor, General Colin Campbell, the Spanish lines and batteries including the Forts of St. Philip and Sta. Bárbara, were destroyed. The inhabitants of Gibraltar gleefully volunteered their services for their demolition. A few days later, the French arrived at San Roque. They found an empty town as all the inhabitants had taken refuge in Gibraltar. It must have been a unique case of refugees taking refuge in their original home town. It was a time when Gibraltar was being used as a supply depot for the Spanish guerrilleros who were proving very effective against the French. That year Antonia Cerisola gave birth to a son. His name was Francis Chipolina. Officially he was the first of six legitimate children sired by my 'El Nazo'. However, the fact that Francis was born seven years after their marriage suggests that he was not in fact their first child. It seems more than likely that their younger children were carried away by the various intervening epidemics. There were few people around to record either births or deaths properly at the time. 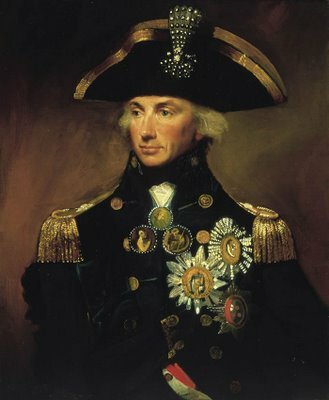 During the Peninsular war, the acting Governor to Gibraltar, Sir Colin Campbell came up with a plan to capture Malaga. He sent General Blayney with a force of 1400 men and a small armada of British warships to take a fortress in Fuengirola which was near Malaga. He knew it was poorly defended by a small force of 160 Polish troops. When Blayney arrived he immediately demanded the surrender of the fortress. The Polish leader, Captain Mlokosiewicz refused and stunned him by telling him to ‘Come and take it!’ After a series of skirmishes the end result was a rout for Blayney and his British troops and one of the most humiliating defeats in the history of the British Empire. 1811/12 The war, however, eventually took its toll and economies became depressed throughout Europe. Britain was no exception and suffered from a serious slump in trade. Eventually both France and Britain were forced to relax their respective 'Continental System' and blockade. Yellow fever returned to the Rock that year and several hundred people died. Nevertheless the civilian population continued to rise and now stood at 11 173. 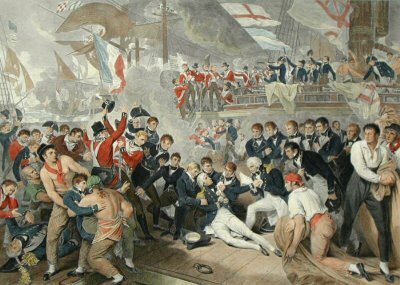 The following year the War of 1812 began. 1813 For some reason another census was taken soon after the start of this war and it was found that the civilian population had increased yet again to 12 423. Immigration was continuing unabated. Many would yet regret their decision to come. In September there was yet another serious epidemic of yellow fever and nearly 1 000 people died. There was no escape from it and no chance of visiting San Roque in the hope of a miracle as the gates to Spain were closed. The disease was still undiagnosed and incurable and was regarded with superstitious dread. The levanter was often blamed. That year a Gibraltarian called John Cortes, wrote an extensive medical report on his observations of the symptoms of patients suffering from the fever and on several autopsies which he carried out himself. Cortes was in charge of an isolation hospital of which there were two on the Rock at the time. He was not a doctor as such but what today would be called a laboratory technician or paramedic. He was in no doubt that the disease was yellow fever and he made the telling observation that the victims were usually 'attacked' at night. One wonders how close he was to anticipating by nearly 70 years, the Cuban doctor, Carlos Finlay's thesis, that the infectious agent was transmitted by a mosquito. By November the civilian population had decreased dramatically to 7 370, a drop of over 5 000 people. 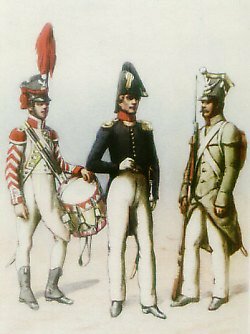 1814/16 By April the Genoese had also had enough of the French and revolted against Napoleon's defeated armies. 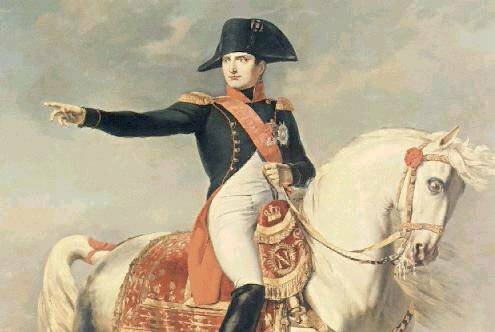 That same month the Treaty of Fontainebleau was signed and Napoleon abdicated and took up residence in Elba. Then came the hot month of August and Gibraltar suffered yet another outbreak of yellow fever. It was less virulent than the previous ones. Presumably many of the inhabitants had been exposed so often to the virus that they had acquired a natural immunity to it. In October General Sir George Don was installed as Governor and by the end of the next month the epidemic was over. 246 people died. A romantic view of the Cathedral Church of the Holy Trinity in Gibraltar. In November the Congress of Vienna finally yielded Genoa to the kingdom of Sardinia which was ruled by the House of Savoy. The Genoese bitterly resented this authoritarian regime and emigration increased radically yet again. Once more Gibraltar must have been a popular choice as the civilian population census taken that year registered 10 136 people, a big increase over the year despite the deaths through yellow fever. The surname Chipilino appears on this key register, in which many of the present day population of the Rock can trace their ancestors. It seems very likely that Chipilino was in fact Angel 'El Nazo' Chipolina (5.1). According to the register in question there were 1 600 houses with 5 800 rooms in Gibraltar at the time. Considering that the garrison added up to a further 6 800 men, women and children, housing must have been a serious problem. In fact for the underprivileged, the problem would persist right up to the mid 20th Century. The fact that such a large number of people continued to live in Gibraltar despite the horrors of the epidemics and the oppressive circumstances of living in a military base, suggest that Gibraltar must have had some hidden charm. It had. It was called money. One way or another there was always a reasonable possibility of earning some sort of a living on the Rock. 1815 This was the year of the Hundred Days War and by July, Gibraltar was celebrating Wellington's victory at Waterloo. The following year General Don ordered that wares could no longer be sold at stalls or at street corners. This encouraged business life based on shops and tended to increase the town's general prosperity. But it did little to help those who needed it most. The myth is that Waterloo was won because of British pluck and the genius of Wellington. In fact Wellington was no Napoleon. Without the massive Prussian contribution he would have lost. After the battle it was suggested they call it the Battle of La Belle Alliance, but Wellington had other plans. He raced back to his headquarters, wrote his famous dispatch, and the Iron Duke was born. A feature of many 19th century prints by various artists is that the women are dressed in bright scarlet cloaks. The hypothesis is that these woollen cloaks were made of the same material used to make British military uniforms. 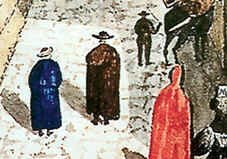 The cloaks often had velvet edges and velvet lined pockets. When red wool ceased to be used for this purpose the scarlet ladies disappear from the scene. It is the closest Gibraltar has ever had to a national costume. Many of the original Genoese came to fish. Some turned to market gardening in the Neutral Ground between the Rock and Spain. From here it was easy to graduate to smuggling. Soon the more enterprising became suppliers rather than carriers of commodities, of which tobacco was the most important. As elsewhere in Europe, of course, the well-off were the few and the poor were found everywhere. Perhaps the poor of the Rock remained where they were because they really had nowhere else to go. In any case being poor in Gibraltar was probably an order of magnitude better than being poor anywhere else. The cost of living was high but most people seem to have been able to eke out a living. Generally, the Genoese seem to have had an aptitude for trade. There were, it was said, no Jews in Genoa because they couldn't compete with the Genoese. 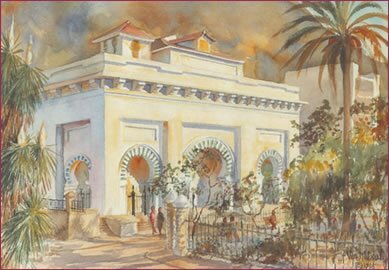 It was not a very apt saying as there were quite a few Jews living in Gibraltar and many were as wealthy, if not more so, than the wealthiest of the Genoese. The Congress of Vienna was convened after the end of the Napoleonic Wars and every attempt was made to put back the clock to 1789. Reaction descended once again upon Europe and Italy was carved up. One way or the other it was all good news for Gibraltar.